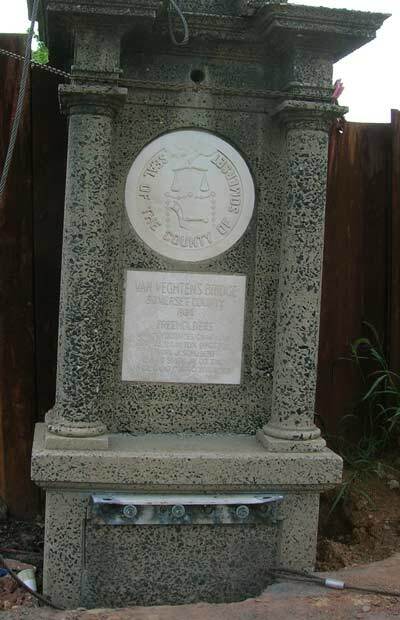 This is the monument which was placed in the middle of the bridge on the west side when the bridge was altered in 1934. In this picture, it has been removed from the bridge and is standing off the bridge, secured with chain at the top to temporary sheeting. The angle at the base was installed to help with the removal, and was later removed.